"Proposed Destroyers ... Jan. 14, 1913"
Preliminary design prepared for the Fiscal Year 1913 destroyers, which became the O'Brien class (Destroyer #s 51 to 56). 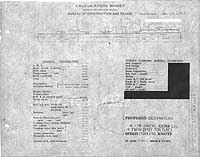 This plan provides four 4-inch guns and a speed of 29.5 knots in a ship 310 feet long on the load water line (L.W.L. 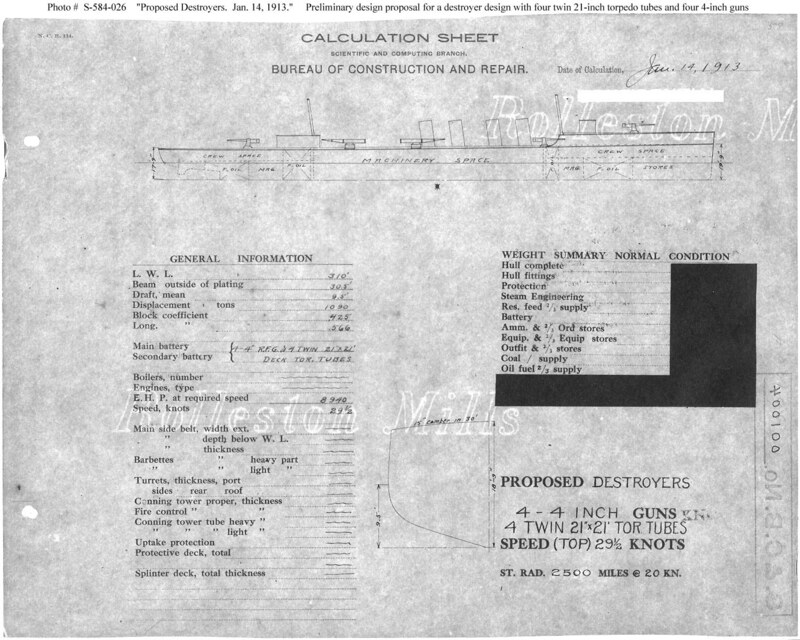 ), 30 feet 6 inches in beam, with a normal displacement of 1,090 tons.